Since 1981, Eastern Marine has served America with our unique blend of Discount Boating, Fishing, RV and Trailer Parts & Equipment. For 36 years our core specialization and distribution of Trailer Parts has continued to grow in size and scope. 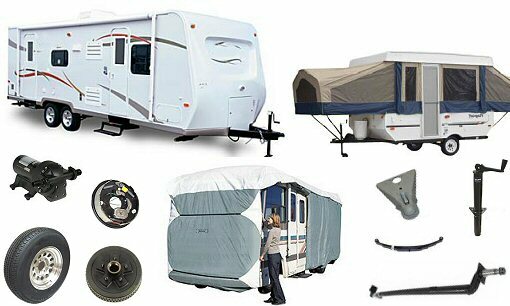 We now offer a huge selection of cross-application RV & CAMPER PARTS such as: tail lights, tires, wheels, axles, leaf springs, frame hardware, tongue jacks, couplers, safety chains, towing equipment, brakes and much more from top name brand manufacturers. So stop on by our Newark, DE showroom or browse online for all your RV / Camper & Trailer Parts equipment at the official TRAILER PARTS SUPERSTORE®!! !